So, Halloween's coming, eh? That means it's fall, the season of very specific beverages. Isn't it strange that something as simple as a change of weather makes us crave different flavors? In fall we flock to concoctions like pumpkin spice lattes and hot apple cider. Beverages that hardly even cross our minds until the first round of plaid shirts hit retail stores and we feel that bite of cold when we head out on summer evenings. 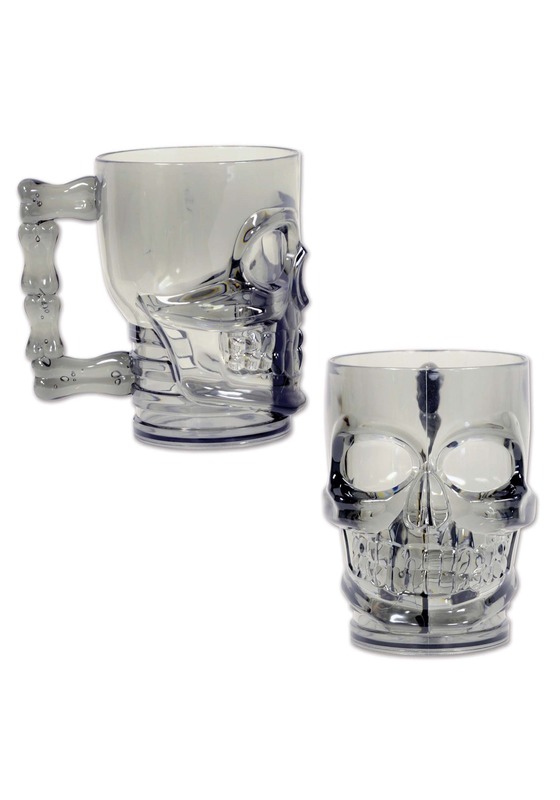 So, as the season of spook approaches, do your seasonal beverages an honor, and sip them in this most memorable mug. There's no better way for your autumnal beverage of choice to haunt you through the months to come! When you drink out of this twenty-ounce polystyrene mug, it's crystal clear how passionate you are about your Halloween costume. While it's not dishwasher or microwave safe, we're pretty sure pirates and ghouls are too tough for those kinds of shortcuts anyway. Just load it up with macabre mead, hand wash, and it will be ready to go for next years haunted holidays! You've spent a while planning your costume. You're pretty excited about it. Why ruin your look by holding a red Solo cup all night? Make sure everyone knows that you're serious about remaining on theme cause that's what fall is all about. We know that winter is coming and until that temp actually drops, we're going to dress up in costume, sip on deliscious beverages, and delight in all things spooky in life!